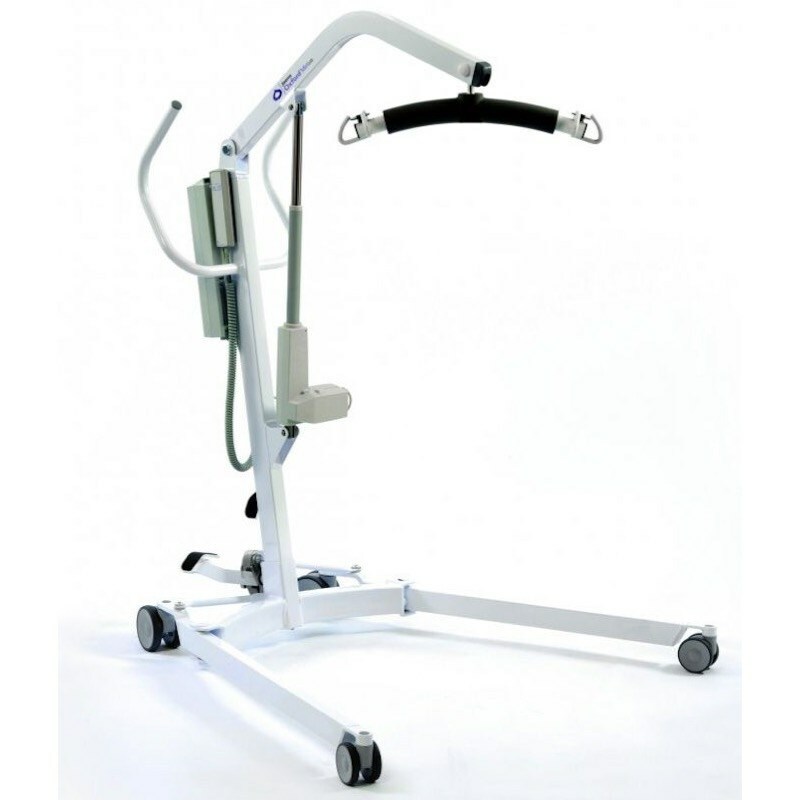 The Oxford Mini 140 is a compact versatile hoist that has been designed to be for homecare use and with the day to day needs of the patient in mind. The maximum safe working load is 140 kg or 22 stone. The model offered here is electrically powered. The emergency raise/lower buttons are located underneath the emergency stop button on the control box and can be operated by means of inserting a ball point pen tip. This can be used to lower/raise a patient should the hand control fail. As well as a visual display, the batteries are protected from deep discharge by a low voltage alarm. This will sound when the batteries need recharging and the hand control is being operated. 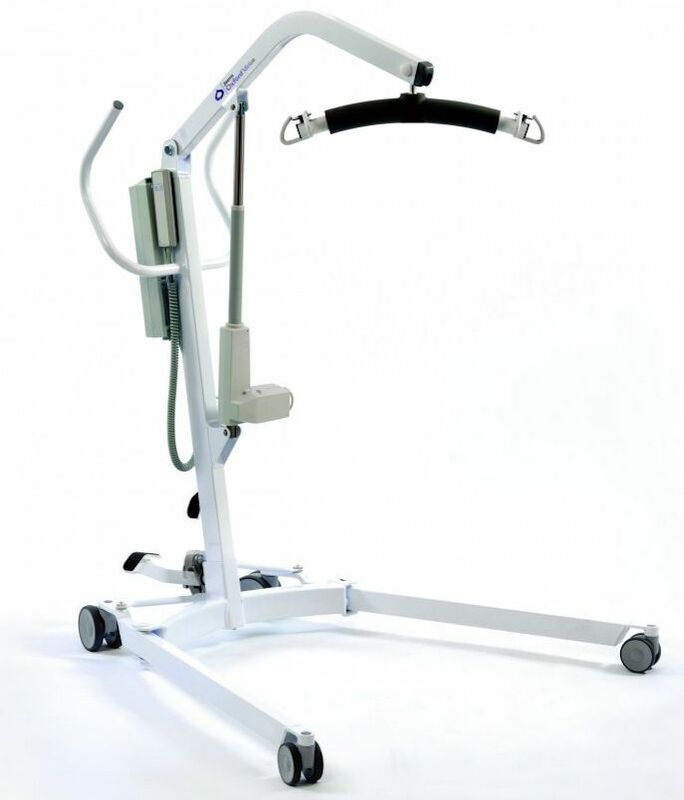 The legs are adjustable using the leg adjuster handle located at the rear of the mast. They can be opened to enable access around armchairs, wheelchairs and similar obstacles.